This device converts Art-Net data from Ethernet network to DMX512. Art-Net and MADRIX LUNA are recommended especially for large installations. MADRIX LUNA was built to work flawlessly with the MADRIX software. Although it comes with powerful features, the device can be installed and configured very easily. 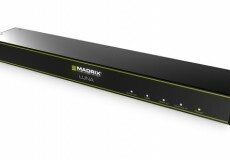 MADRIX LUNA is built 19 inch wide and 1 unit high (1U) for easy mounting. 2 premounted brackets are included for rack mounting. 8 XLR ports (5-pin, female) can be used for DMX data distribution of up to 8 DMX universes per unit. 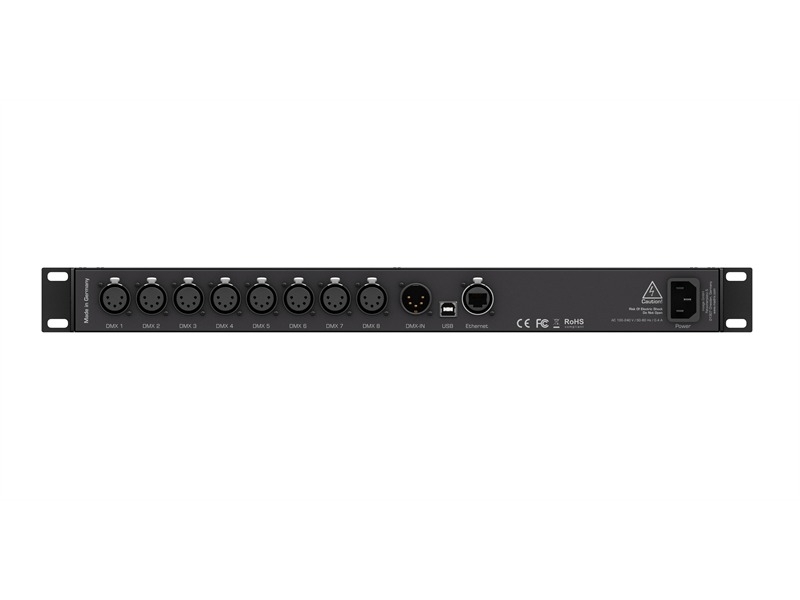 1 XLR port (5-pin, male) is available for DMX input. 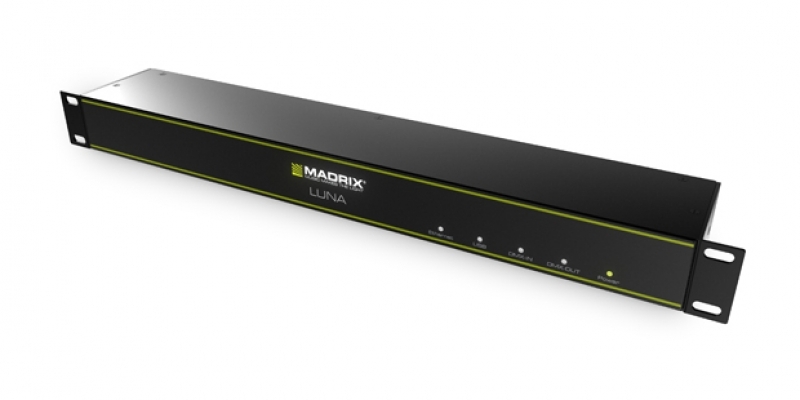 MADRIX software and LUNA hardware allow you synchronize Art-Net data for all 8 output ports and even across multiple devices to get an optimal image on the LEDs without visual interruptions.